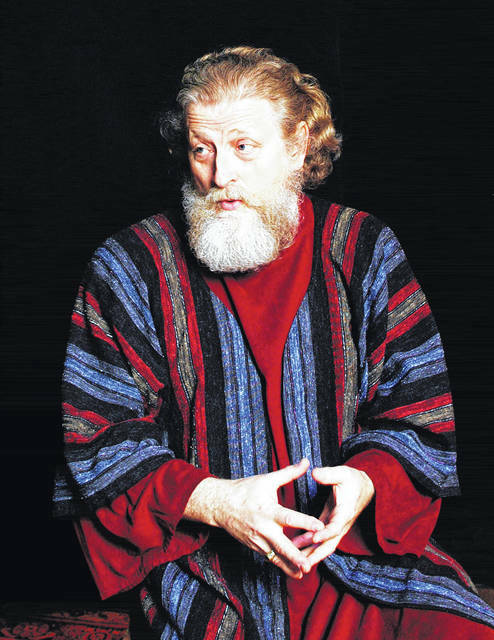 Emmy Award winning actor Wayne S. Turney will perform the entire King James Version of The Gospel According to Saint Mark at First Presbyterian Church, 73 W. Winter St., Delaware, on Sunday, Oct. 29 at 2 p.m.
Perhaps a scribe was among Mark’s hearers one night. And that scribe came by afterwards with a transcription of what Mark had said. And that is what may well have come down to us as The Gospel According to Saint Mark. There is no charge for the performance. The building is handicap accessible from the rear entrance off North Washington Street. For information, contact the church office at 740-363-1205, or Ruth Rabby at 740-369-3254.